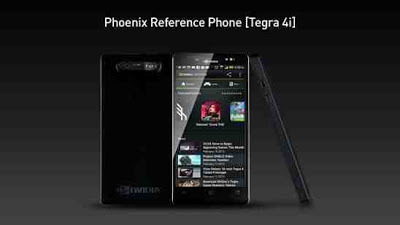 Nvidia show off their LTE capable Tegra 4i processor and new Pheonix reference device! 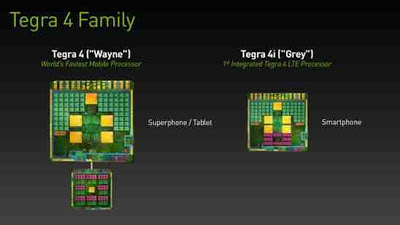 Nvidia's Tegra 4 processor hasn't been getting too much love lately, instead people have been opting for Qualcomm's Snapdragon 600 processor, irrespective of which one has the most power. It may well have something to do with the built-in LTE in the Snapdragon, but it seems Nvidia has a way to counter that now! The Tegra 4i is the company's first processor with integrated LTE and Nvidia claims that when all is said and done that this chip is "significantly faster yet half the size of its nearest competitor!". Naturally the processor retains Nvidia's 4-plus-1 set up, but the Tegra 4i can go as high as 2.3 GHz, something which NVIDIA and ARM worked together on and thus this processor is "the most efficient, highest performance CPU core on the market." "Tegra 4i is the very latest SoC solution based on the ARM Cortex-A9 processor and demonstrates the ability of ARM and our partners to continue to push the performance of technology and create exciting user experiences.. ARM and NVIDIA worked closely to further optimize the Cortex-A9 processor to drive performance and efficiency in areas such as streaming and responsiveness. This is an example of the collaboration and innovation that enables ARM technology-based solutions to be market drivers through multiple generations of SoC solutions." If you were puzzling over the differences between the standard Tegra 4 and this one, then the chart below should help you out a fair bit! Ohhh and we almost forgot, this chipset, just like every other, warrants a new reference device and this time we have the 'Pheonix reference device', check it out in the picture below!